MK Ahmed Tibi of the Arab Joint List calls on Arabs to disobey 'muezzin law' preventing loud amplifying systems in mosques. MK Ahmed Tibi (Arab Joint List) was interviewed by the Al-Miadin news network and referred to the "muezzin law" which would put an end to the incessant loud noise from muezzins around the country. "I would tell Palestinians to rebel against this law and the one behind it- Prime Minister Netanyahu. The goal is Jerusalem", said Tibi, adding that "from here, Al-Miadin, I once again say that there will be insubordination and rebellion against this law, nobody will obey it." "I call on all my people to disobey this law until it reaches the third reading and is approved", said the Arab MK. We are also disturbed by the Friday and Saturday sirens (announcing the Shabbat), we too cannot travel on Yom Kippur and festivals because of you, but we don't speak about it, we don't protest." 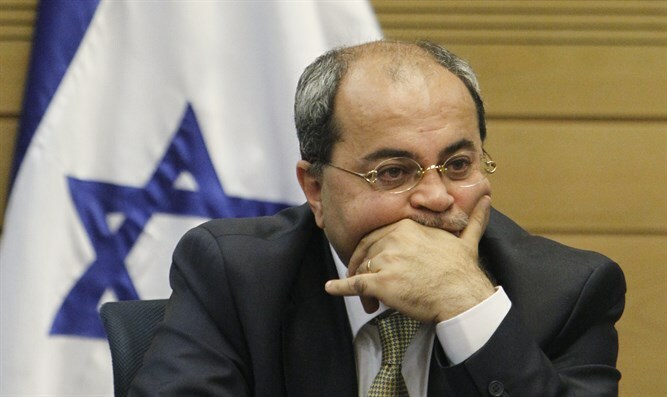 Tibi's office said after the interview that "MK Tibi called on the public not to obey the law, to rebel against it even if it entails a prison sentence. The reference was only to this particular law."